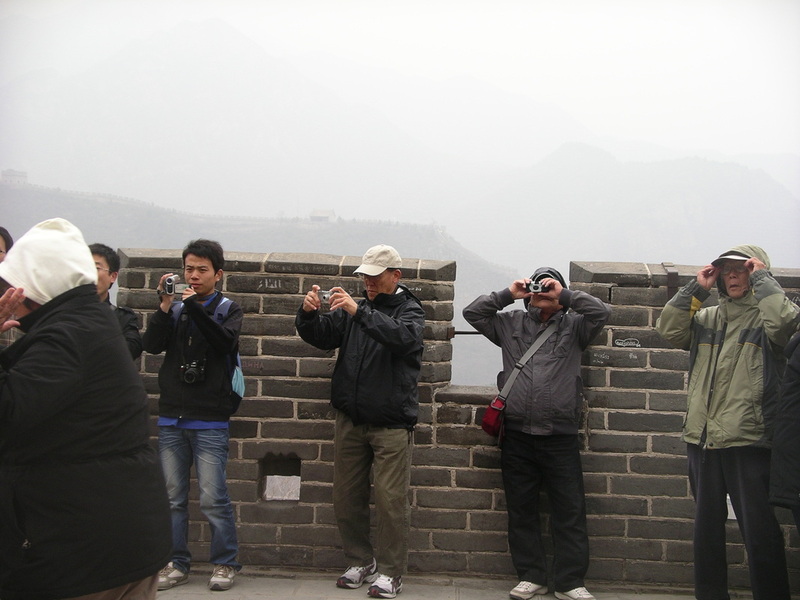 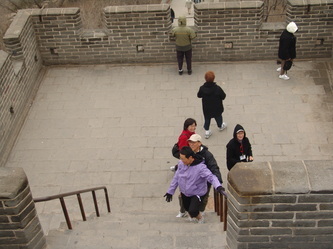 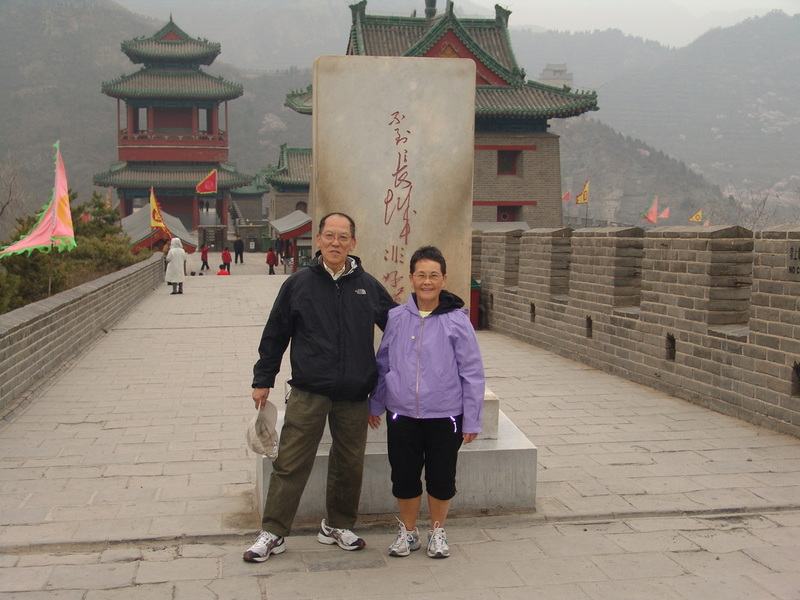 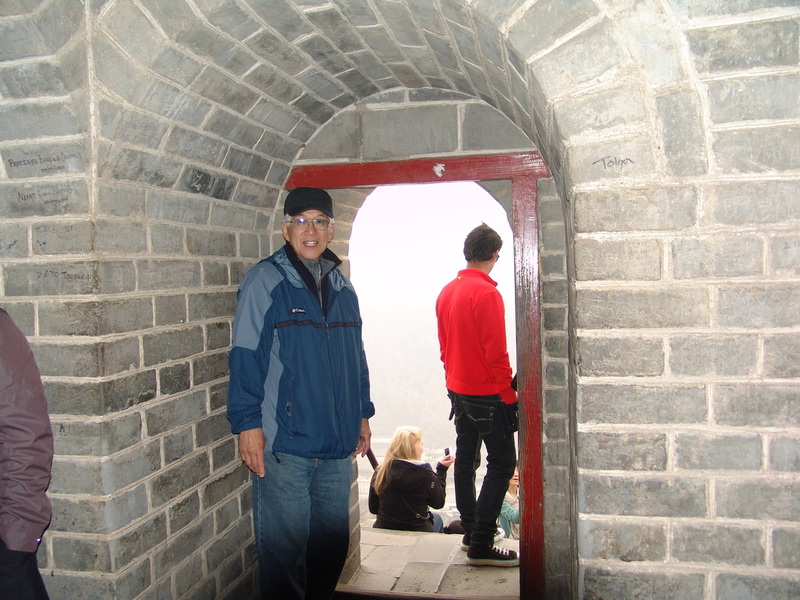 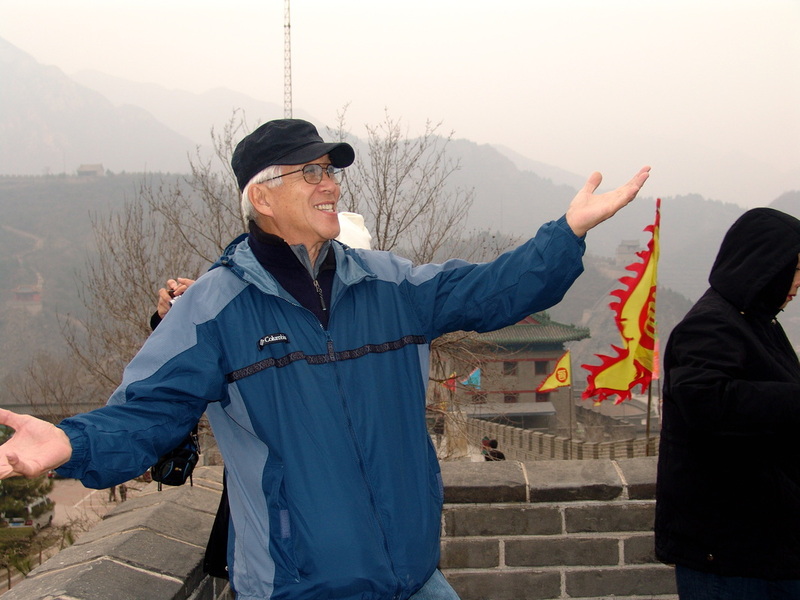 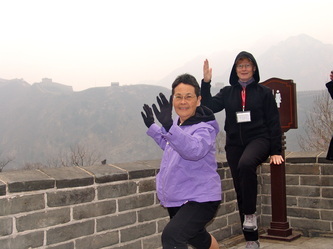 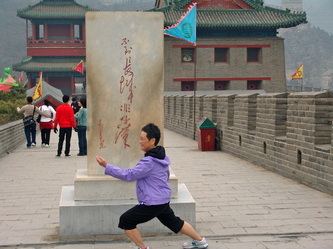 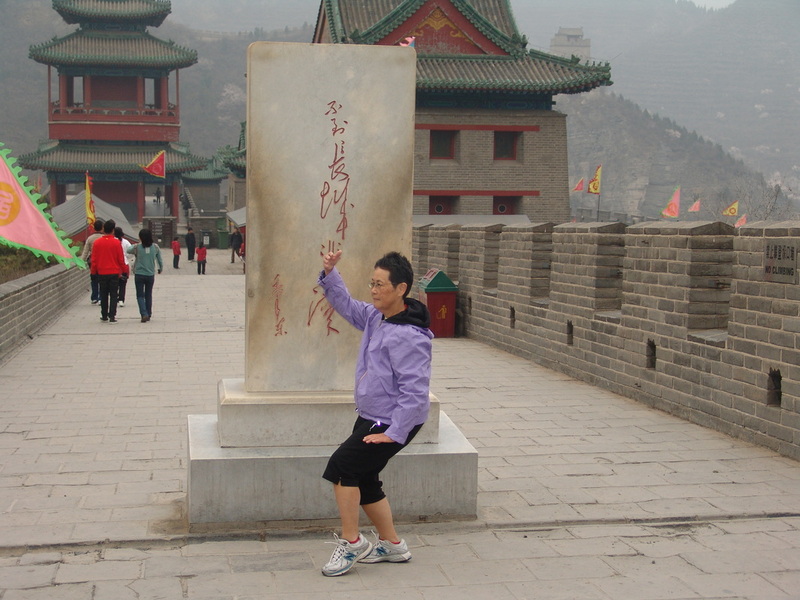 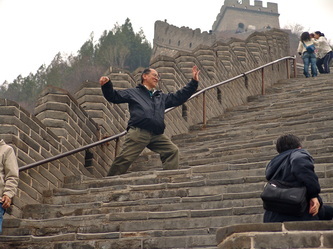 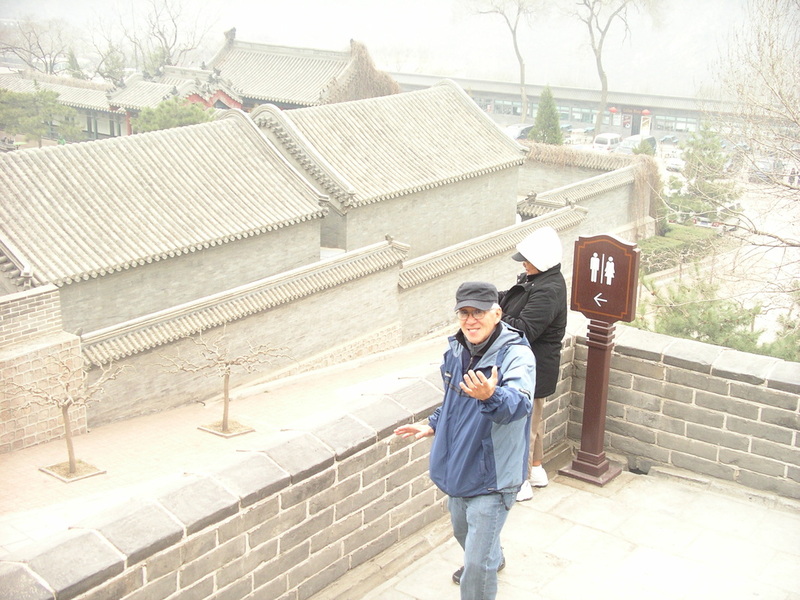 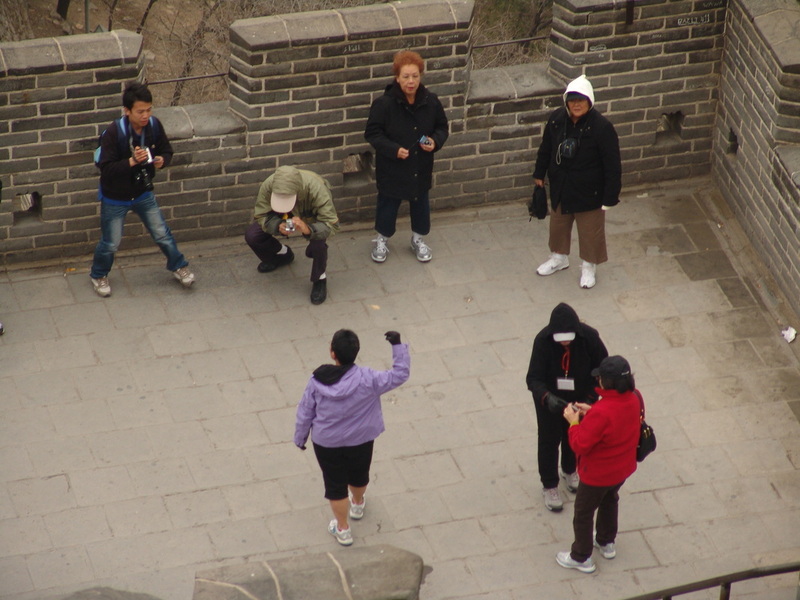 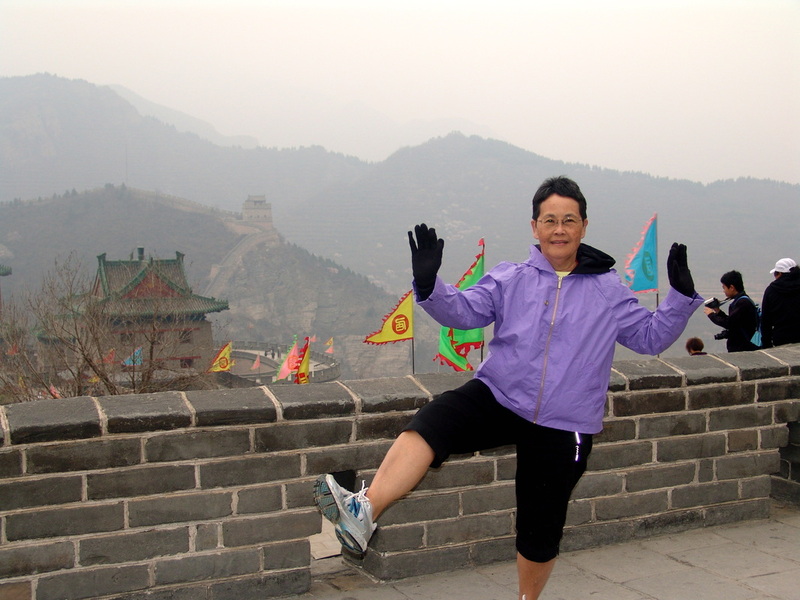 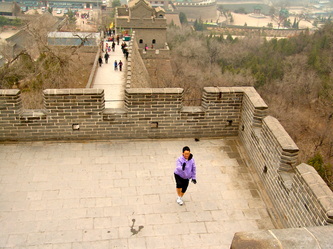 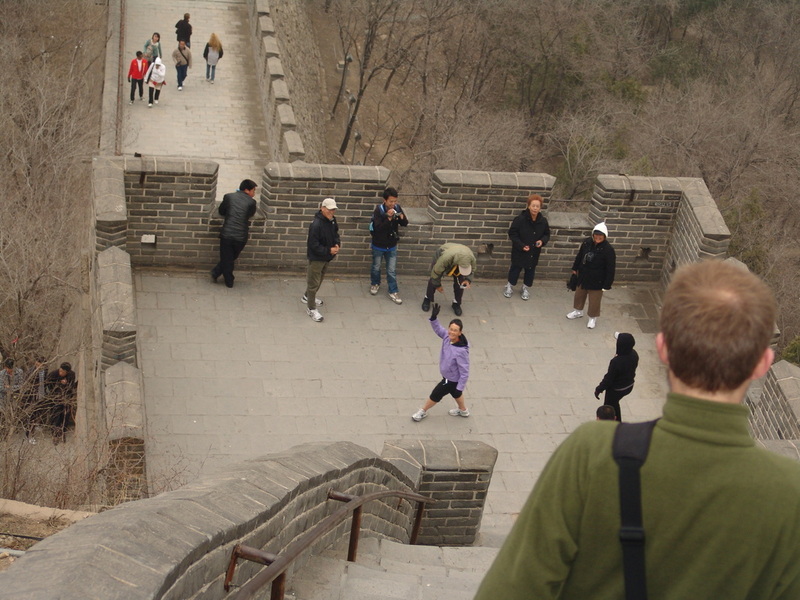 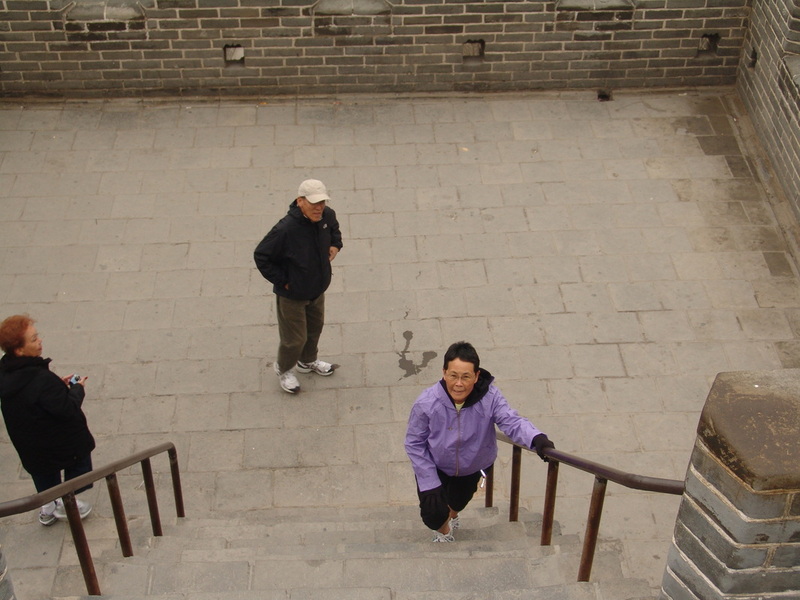 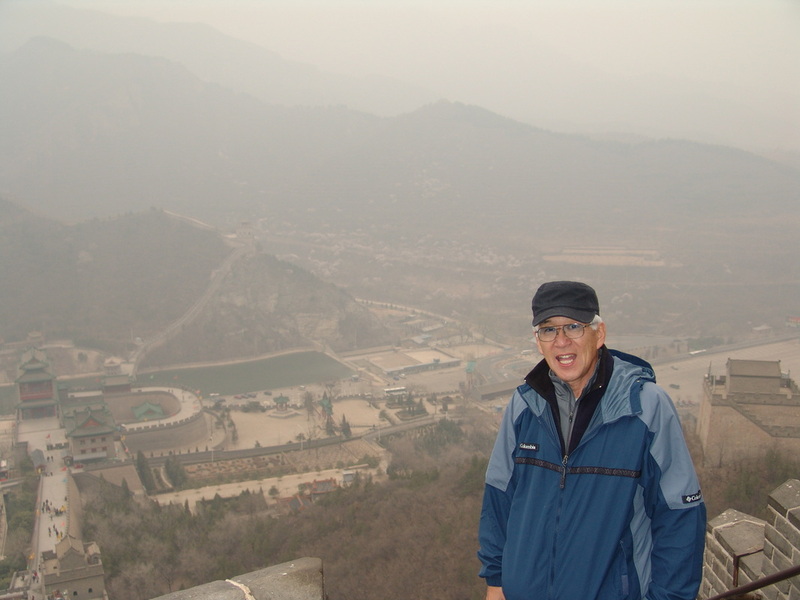 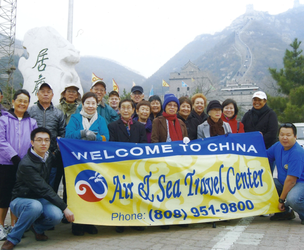 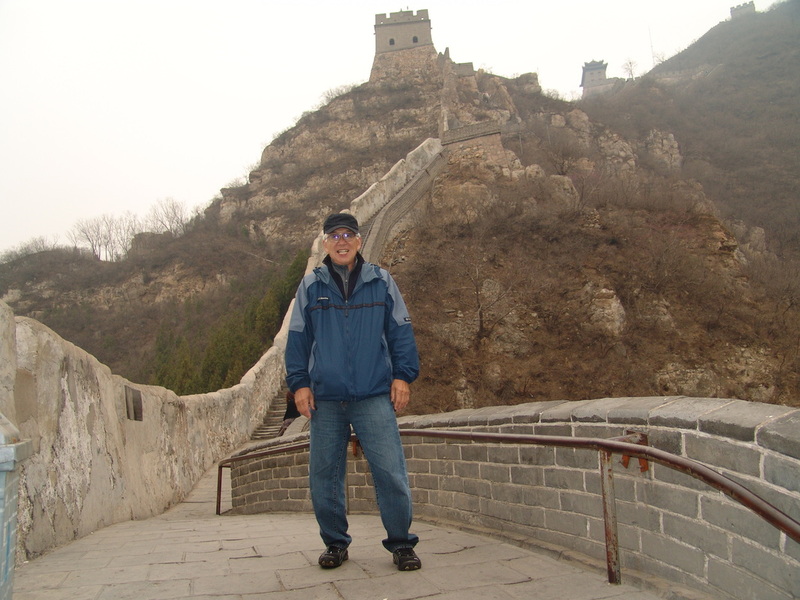 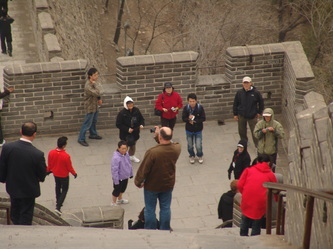 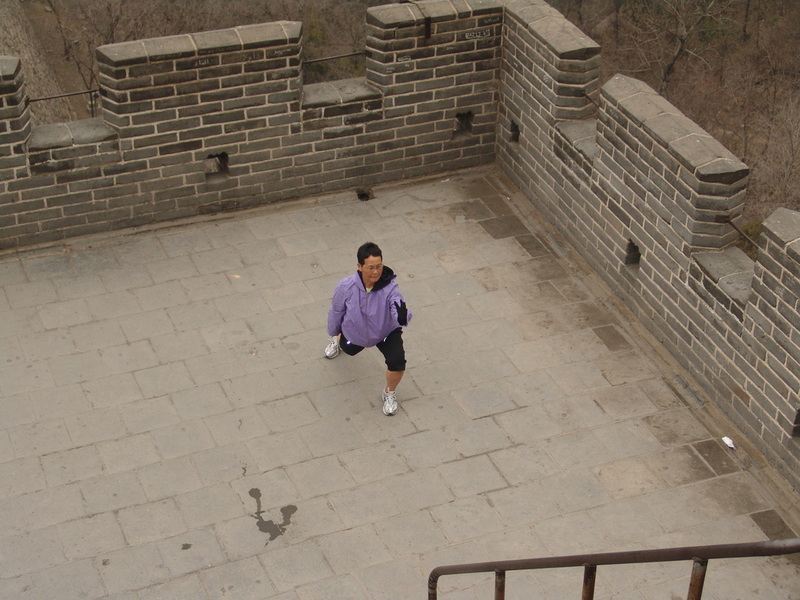 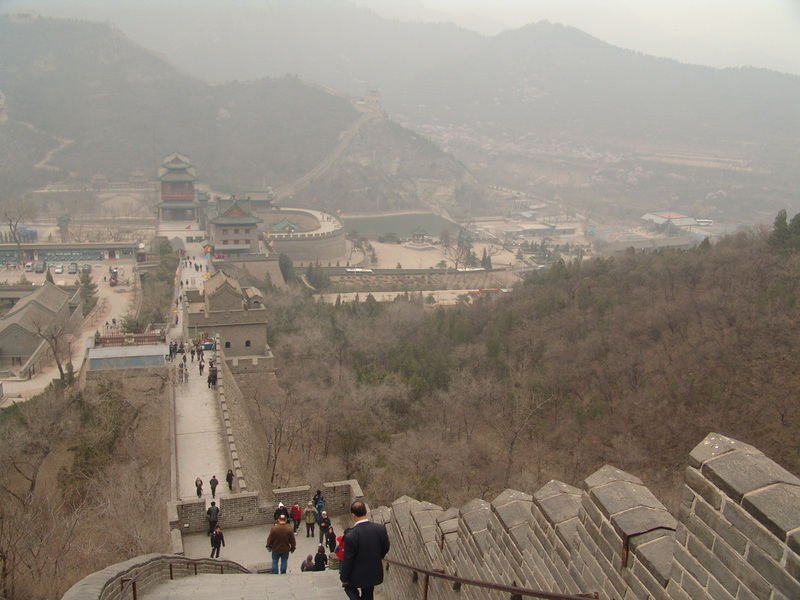 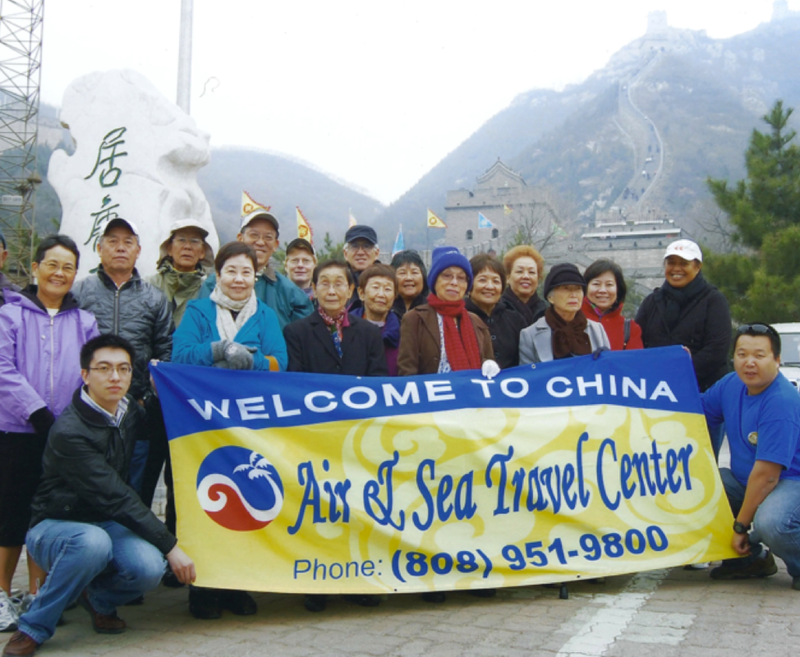 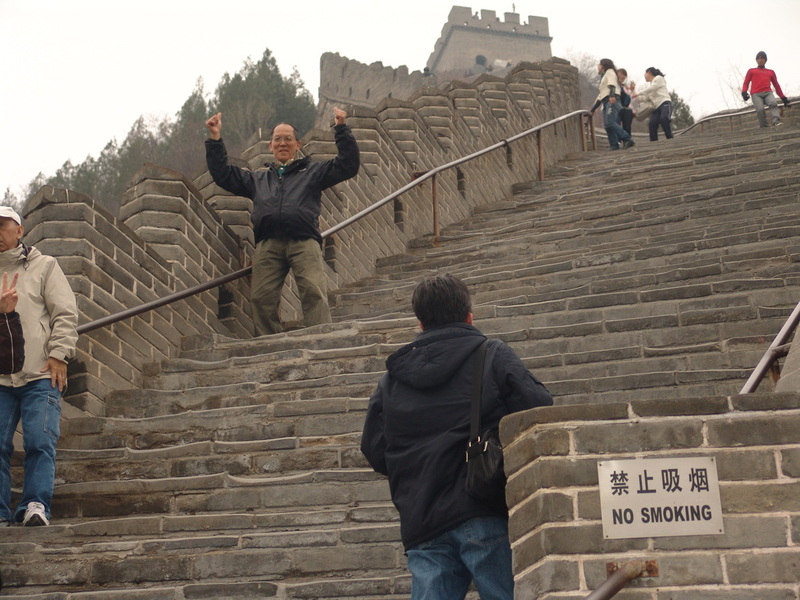 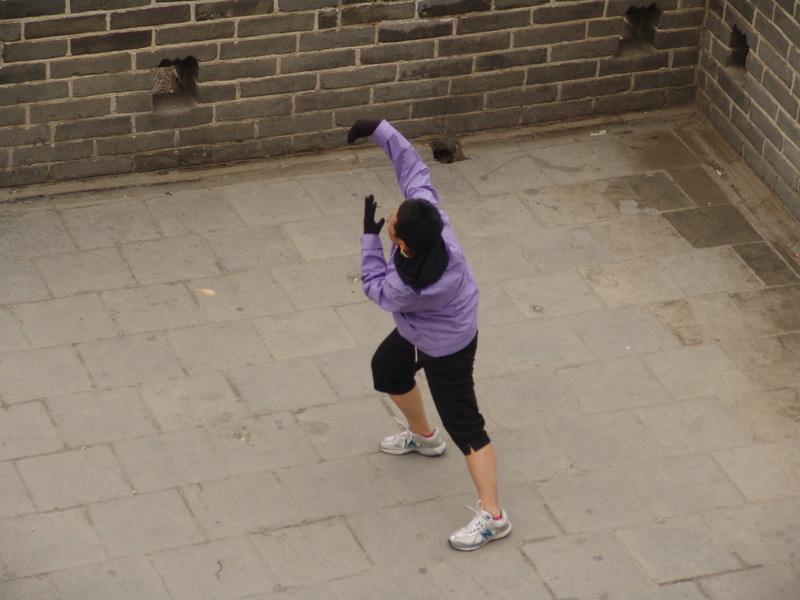 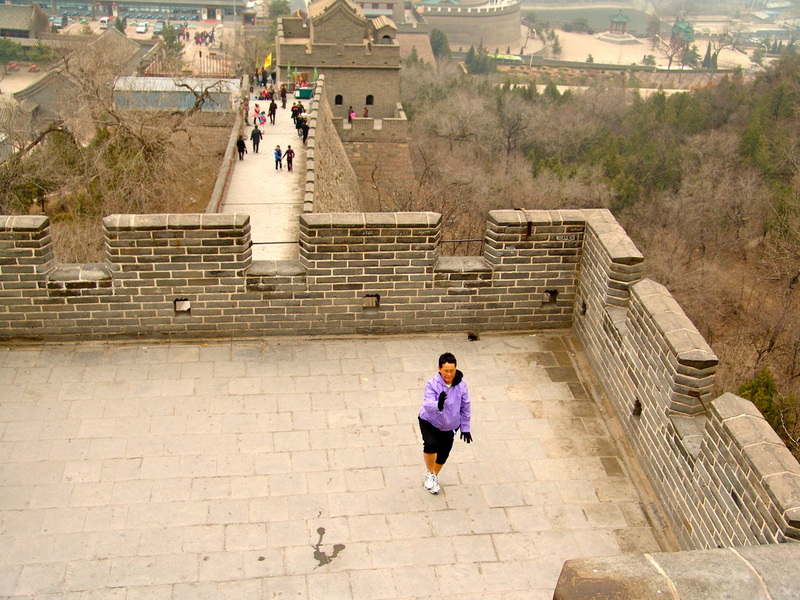 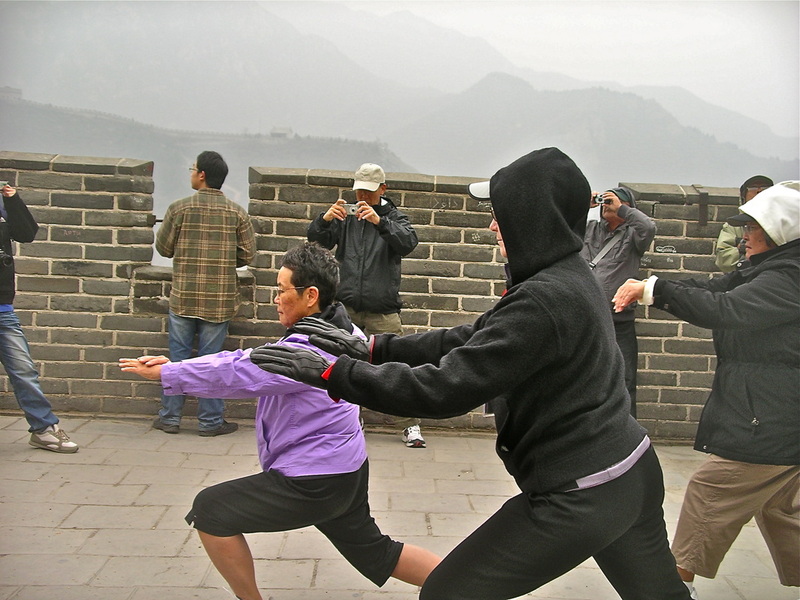 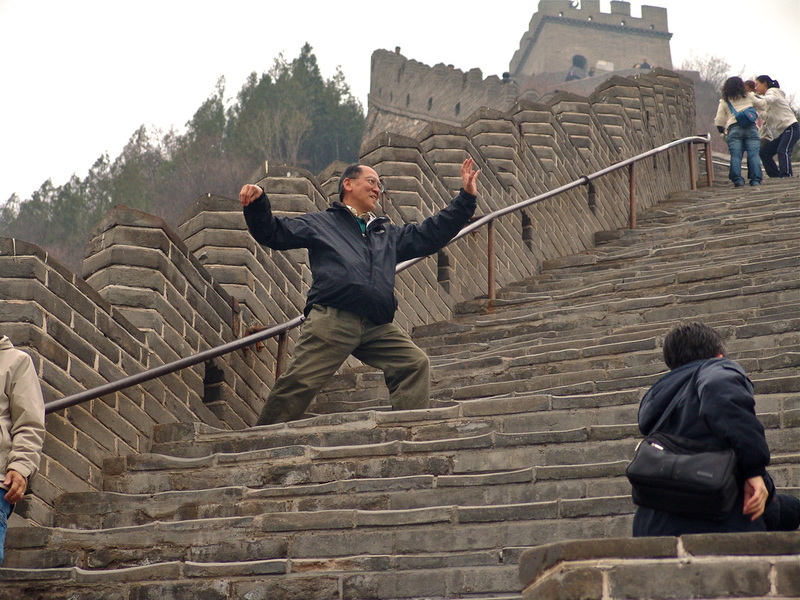 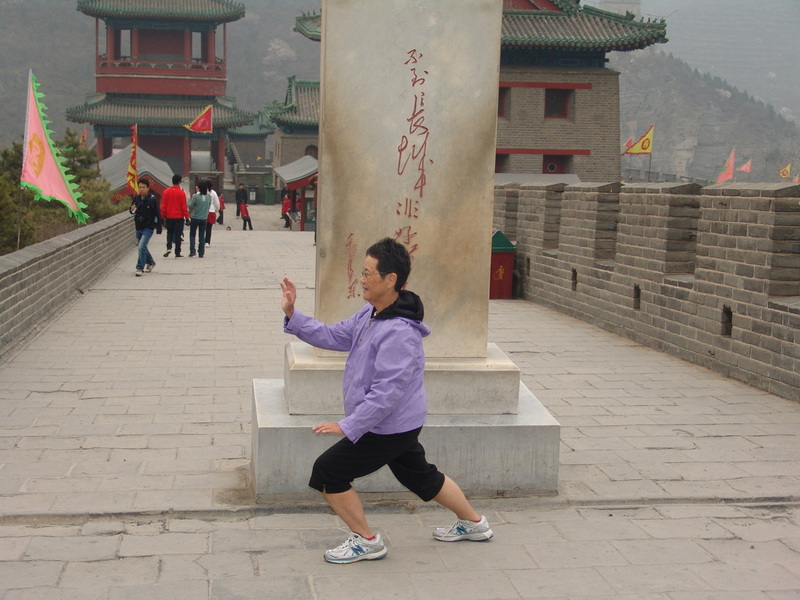 To do Tai Chi is great, but to see the Great Wall of China is even greater. 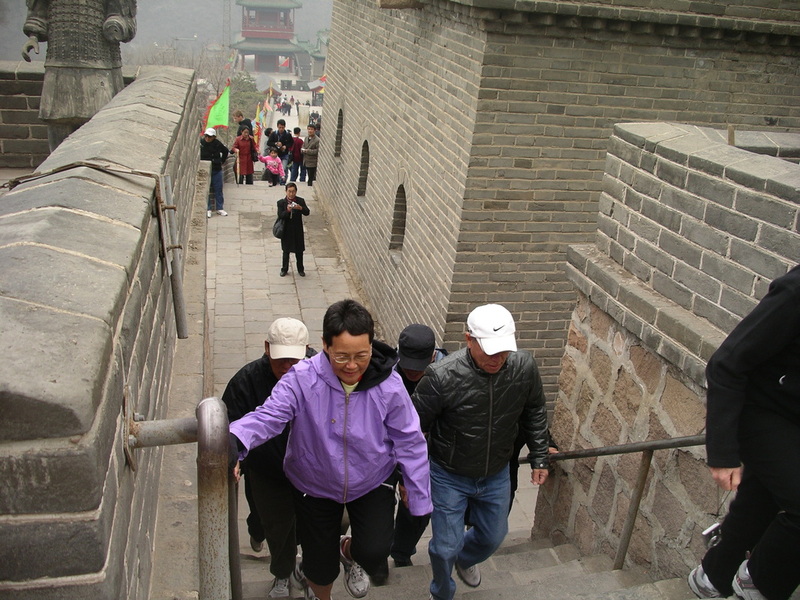 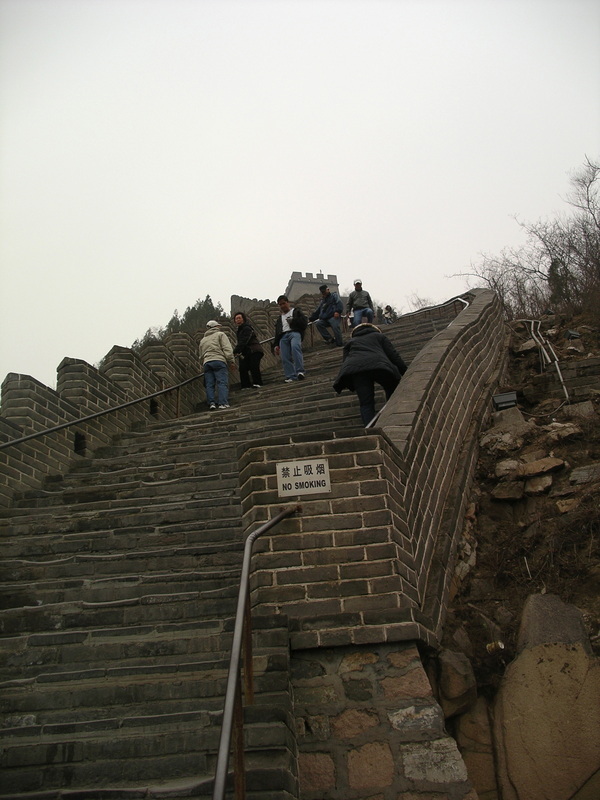 But we all know that to climb the Great Wall of China is the ultimate gift and experience that everyone feels good about accomplishing! Climbing up to the heights and walking the distance your body can take you give you an exhilarating experience too difficult to describe in words. 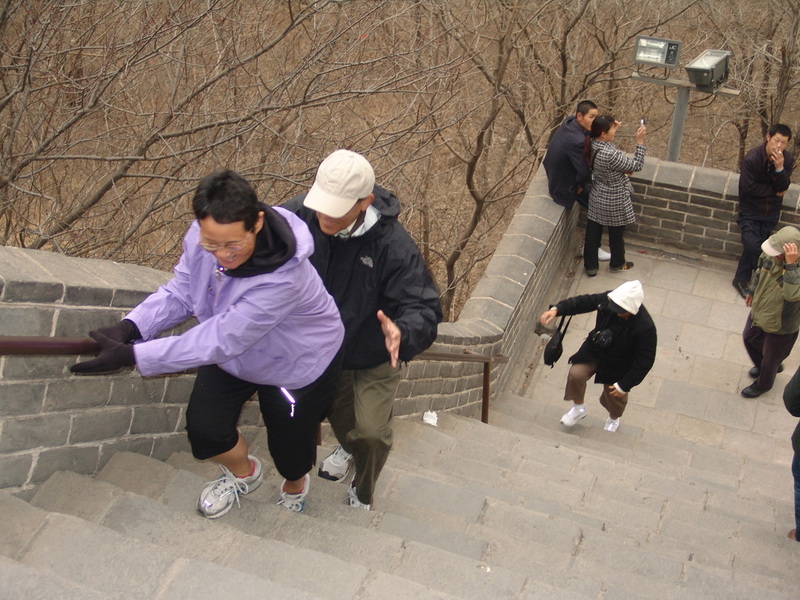 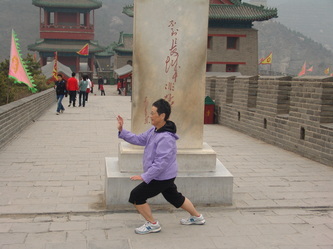 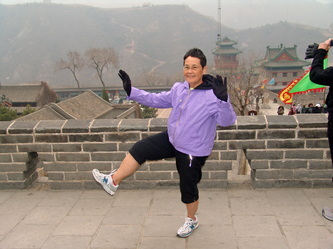 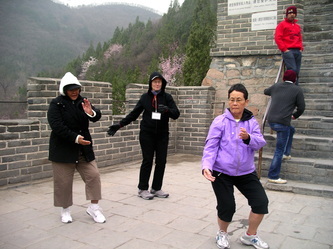 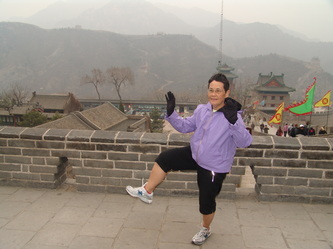 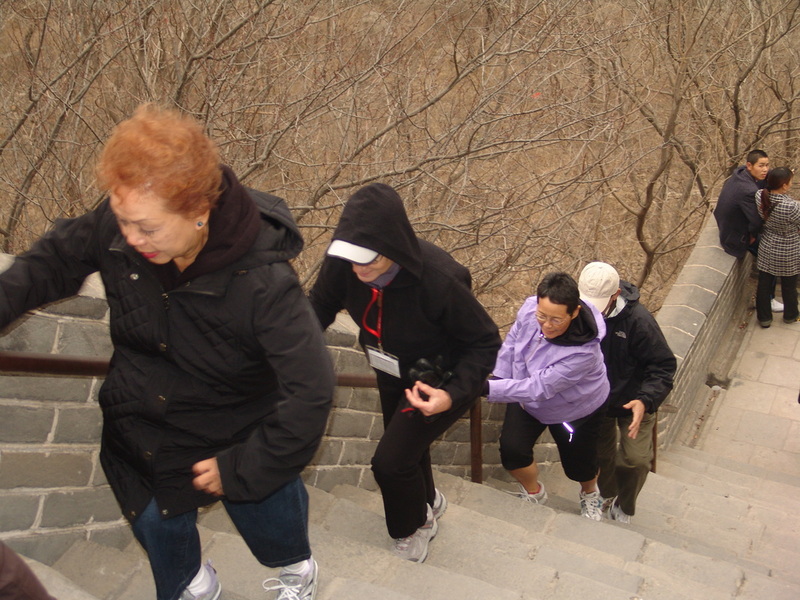 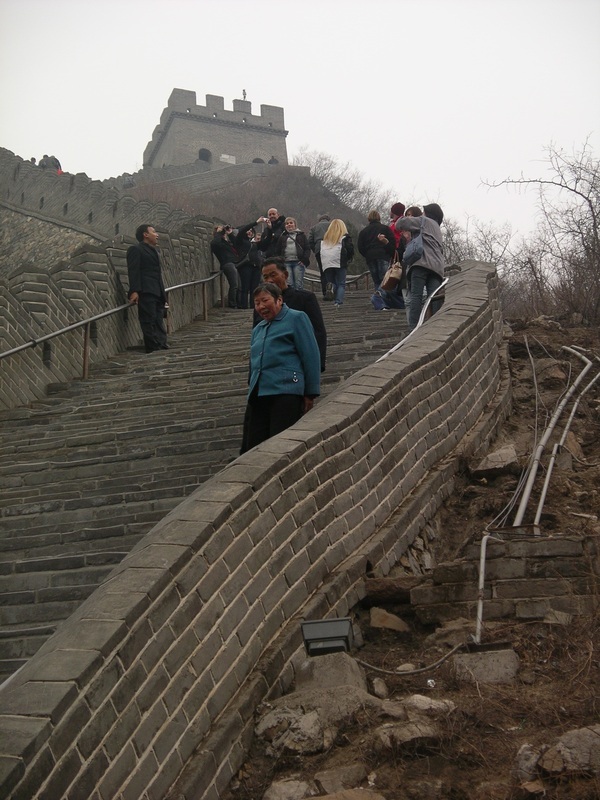 But to do Tai Chi on the Great Wall of China has its highs too!! 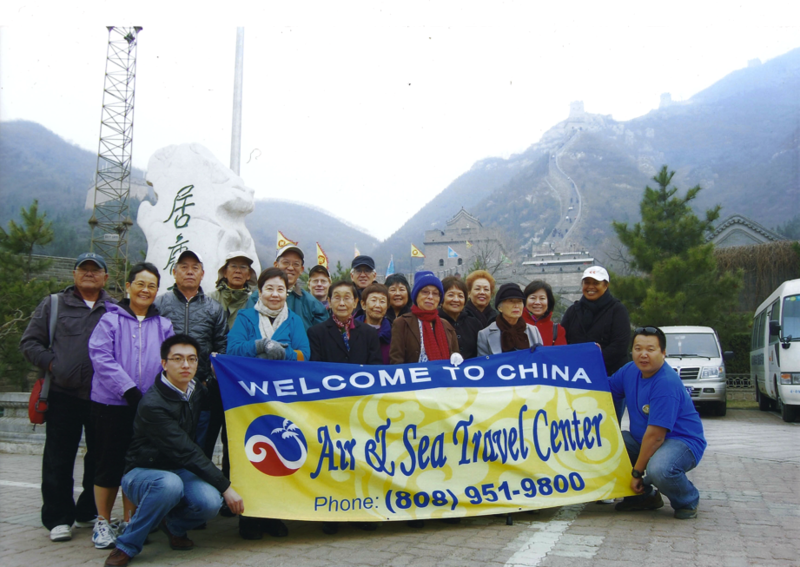 This was a once-in-a-lifetime experience for all of us and the chilliness of the weather and seeing this Wonder of the World has given us an unforgettable experience. 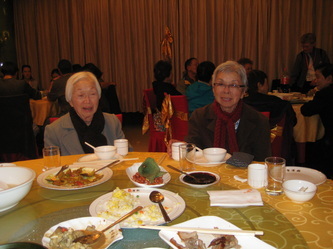 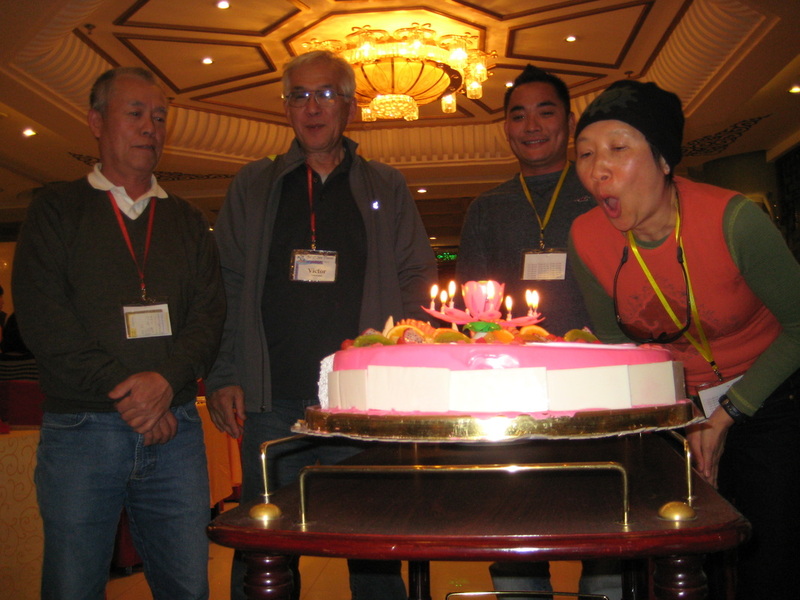 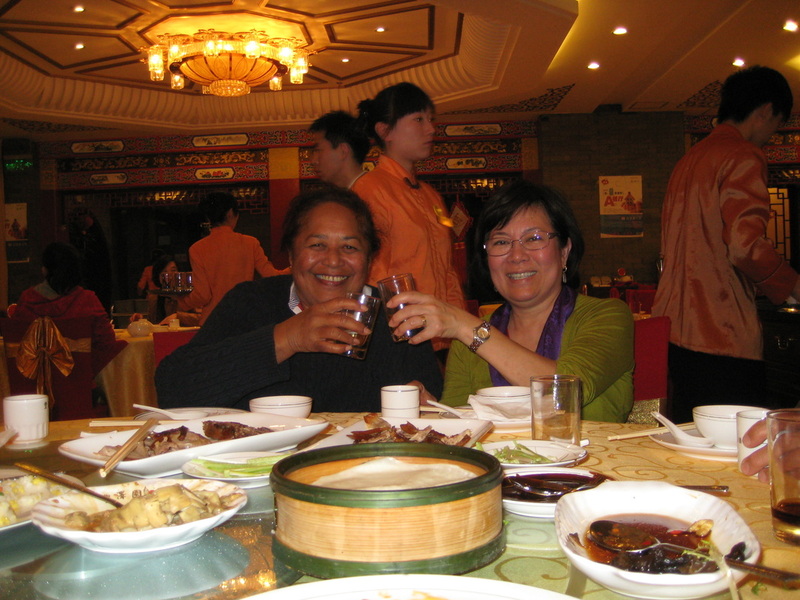 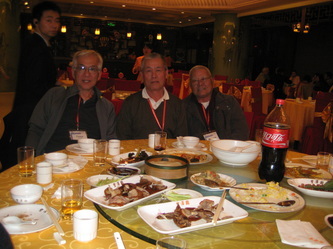 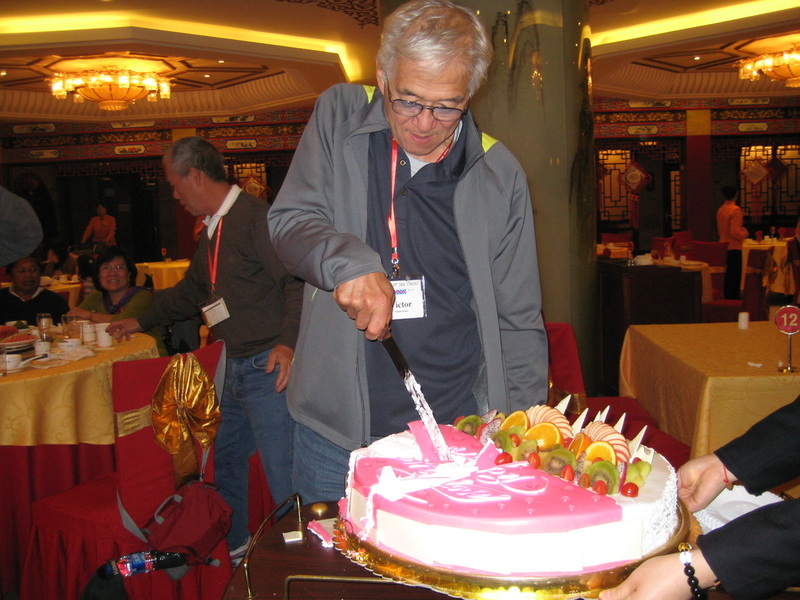 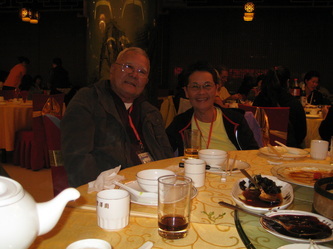 At our special dinner of Peking Duck we helped to celebrate those in our group who had April birthdays. 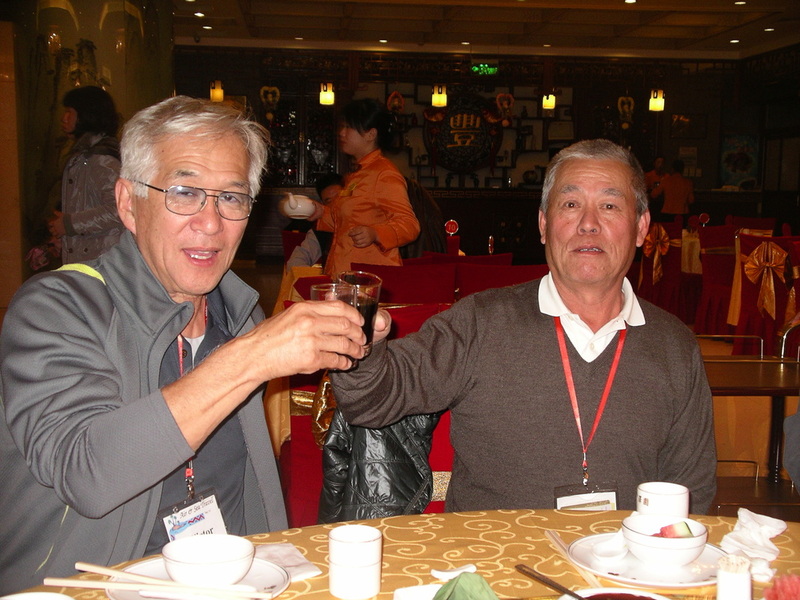 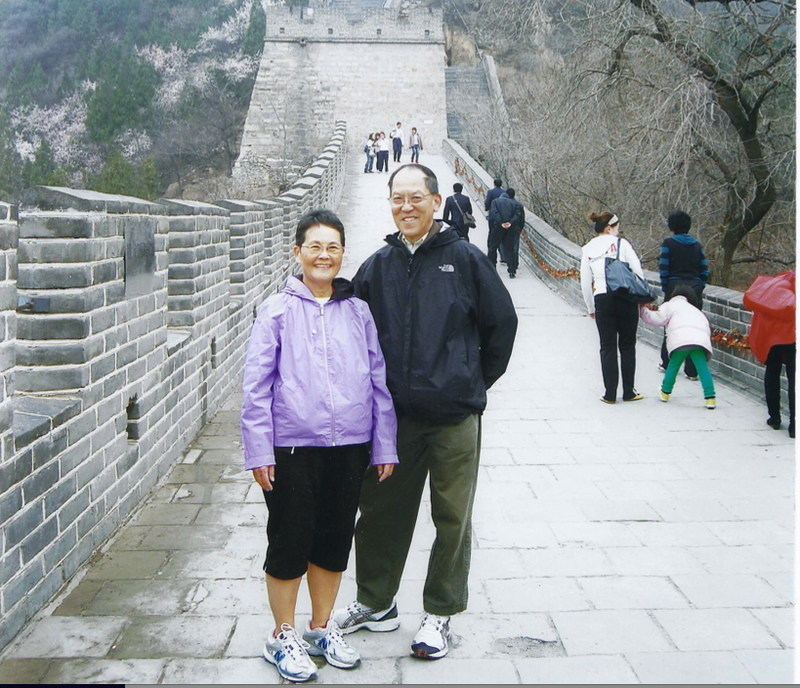 We were honored to have both Peter Chan and Victor Nakawatase as our Red Bus Representatives who not only climbed up together at the highest level but they also turned a year younger as a result of their feats at the Great Wall of China!! Congratulations and Happy Birthday, two combinations and celebrations rarely ever enjoyed in faraway China.